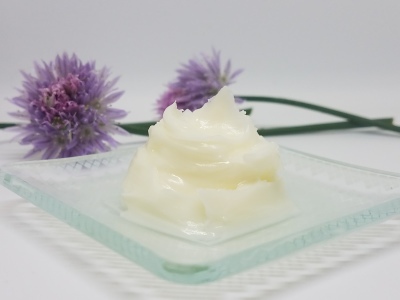 Our all natural body butter has shea butter, grape seed oil, coconut oil, essential oils, beeswax, witch hazel & liquid germall plus (preservative). 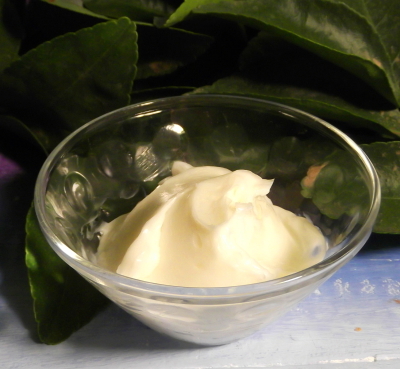 The concentration of natural vitamins and fatty acids in Shea butter makes it very nourishing and moisturizing. It is often used for dry skin and to help protect the skin’s natural oils. Many people use grape seed oil for skin for its emollient properties. Due to its antioxidant properties, grape seed oil can delay skin aging by minimizing the damage caused by free radicals. Beeswax is breathable protection against irritants. It has anti-inflammatory, antibacterial and antiviral properties.